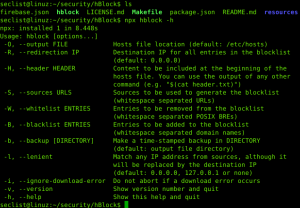 Browse: Home / hBlock – Improve your security and privacy by blocking ads, tracking and malware domain. 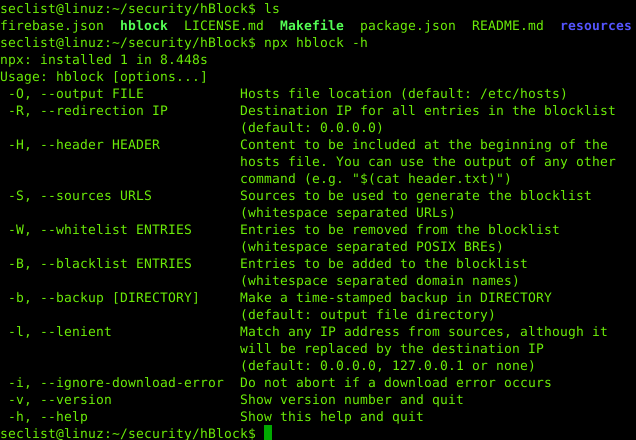 hBlock is POSIX-compliant shell script, designed for Unix-like systems, gets a list of domains that serve ads, tracking scripts and malware from multiple reputable sources and creates a hosts file that prevents your system from connecting to them. This script, by default, replaces the /etc/hosts file of your system. I am not responsible for any damage or loss, always make backups. ← fi6s – fast IPv6 network scanner.